On this second Sunday of Advent, much love to you! Love came down at Christmas indeed and SO grateful for the best gift ever! No greater Love than this..... that He would give his life for us! thanks for the blessing....Have a great week. Blessings! Such a beautiful and precious post, dear Richella! 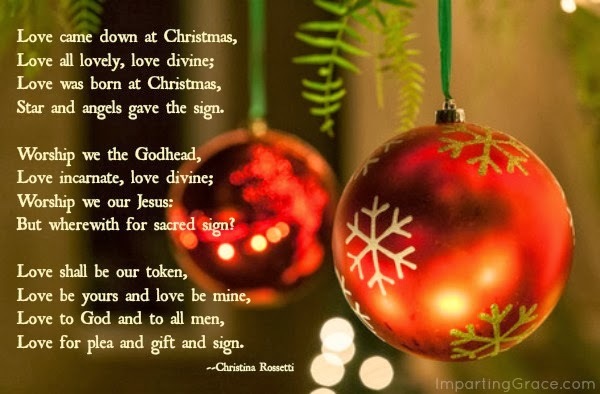 My heart rejoices over the gift of love given to us by our Lord and Savior. I am always humbled to think of Jesus choosing to go to the cross for me and my sins - what amazing love! Thank you for sharing this. I am a happy new follower and I look forward to visiting again. Blessings to you during this wonderful Christmas season!